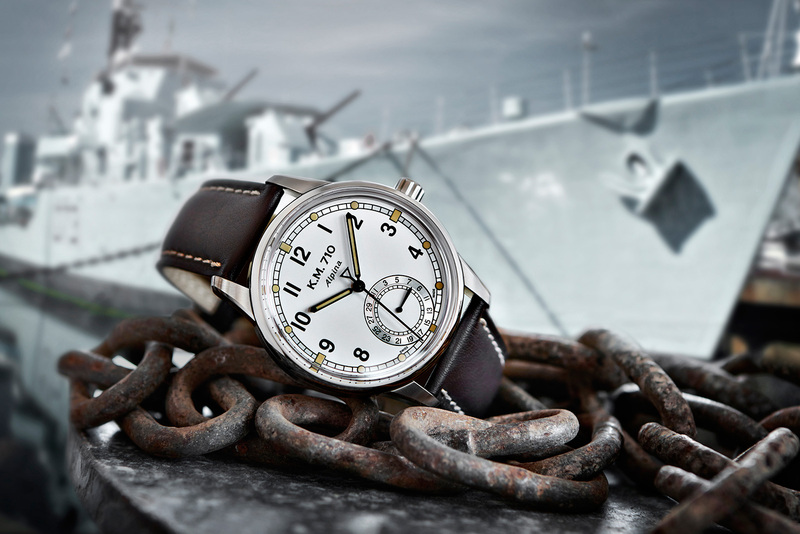 Alpina was one of the watchmakers that supplied wristwatches to the Kriegsmarine, the World War II German navy. 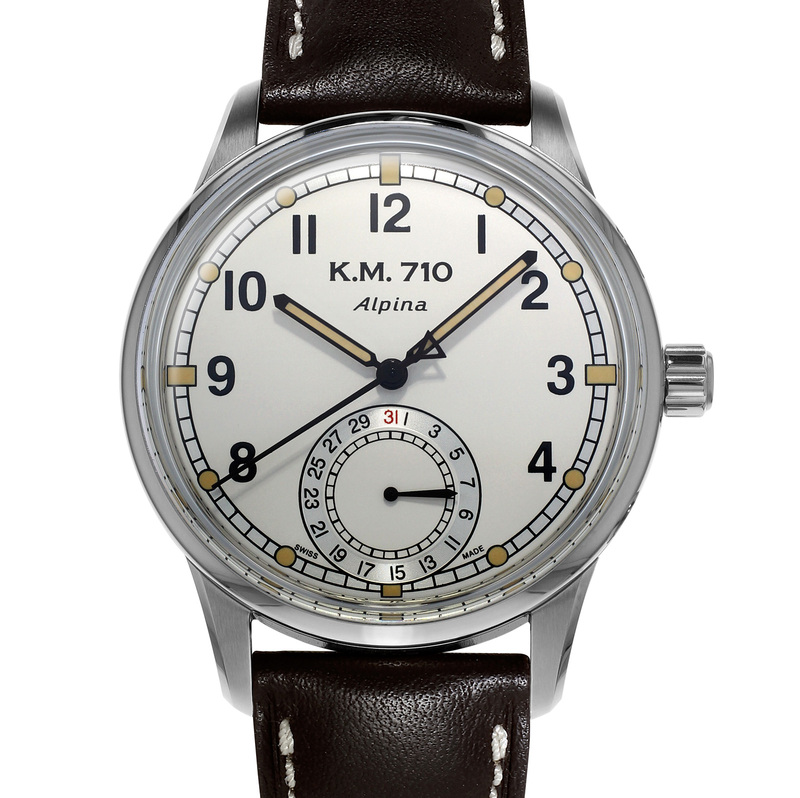 Marked “KM” on the dial, short for Kriegsmarine, these military-issue watches were small, typically 33mm in diameter, but distinctive, with silvery-white dials and black Arabic numerals. 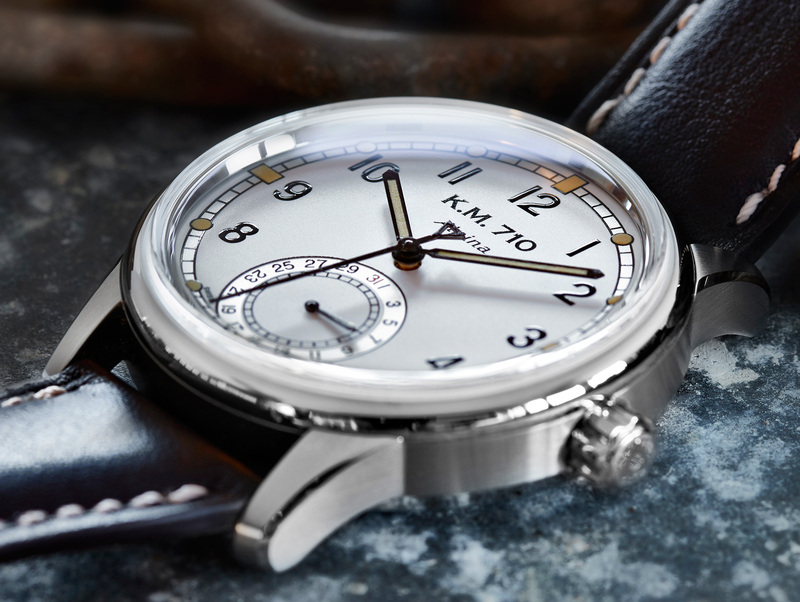 While the WWII Alpina watches were marked “KM 592” on the dial, a reference to the calibre 592 inside, the modern remake is named after the calibre AL-710. The new Alpina KM-710 adopts the look of the original KM watch, but reinterpreted as a distinctly modern watch in a larger size with an added date indicator. 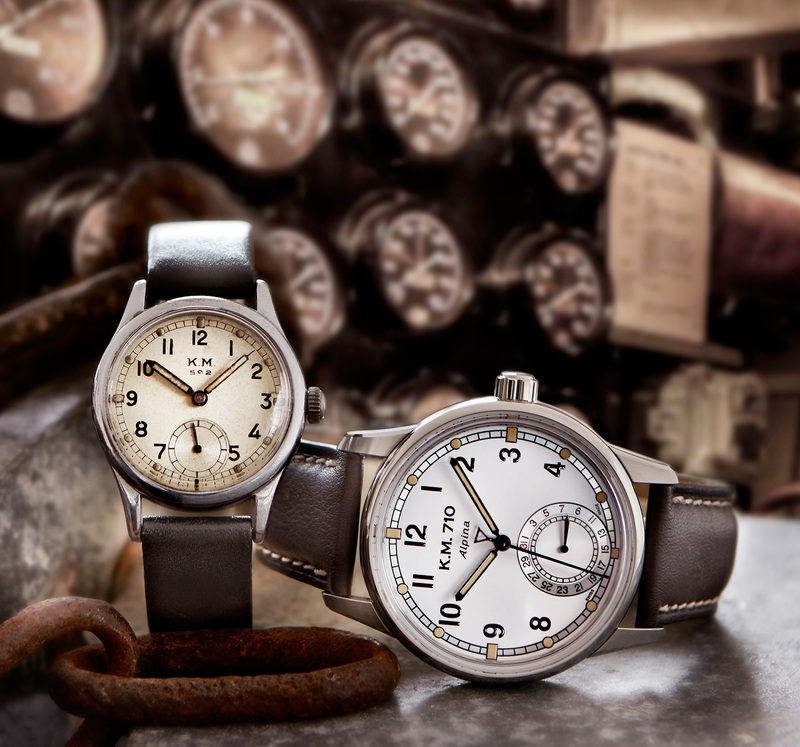 Alpina’s designers managed to convey the vintage style without merely reproducing the original. Unlike other vintage remakes that have a date window that’s incongruous with the retro look, the KM-710 smartly uses a sub-dial to indicate the date. While the reduced size of the numbers on the sub-dial means it is slightly less legible than a window display, the sub-dial date blends in much better. The Super-Luminova on the dial and hands is beige to mimic the look of vintage watch dials, while the sapphire crystal is domed, again to replicate the look of Plexiglas crystal on the original KM watches. The stainless steel case, however, is a modern 41.5mm in diameter and water-resistant to 50m. Inside is the AL-710, Alpina’s in-house automatic movement with a 42-hour power reserve. 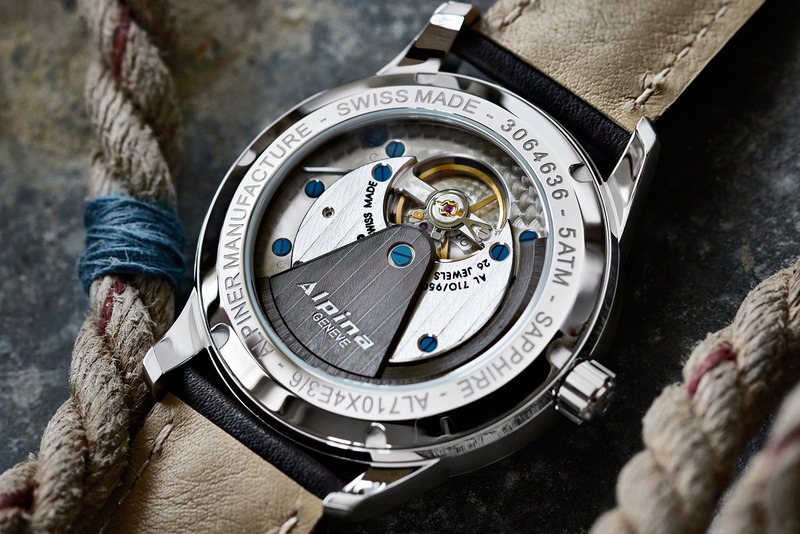 The Alpina KM-710 is priced at €2495 including 19 percent tax, equivalent to US$2780.